Nicholas was educated at Eton College and subsequently commissioned into the Royal Green Jackets in 1965. He spent two and a half years on active service in Borneo and Malaysia as a Platoon Commander followed by a further year at the Green Jacket Headquarters in Winchester. After completing a short Business Administration course at the City of London Polytechnic and passing the Civil Service Selection Board (CISB) of the Foreign Office Selection Board Examination, Nicholas joined the Foreign Department of the Financial Times in 1969. He was appointed area manager for the North, Central and Eastern Europe with responsibility for the preparation and marketing of country/industry specific surveys published in the Financial Times for those regions. He also wrote book reviews for the paper. In 1972 Nicholas joined Grieveson Grant and Co as an investment broker for the Foreign Division of the Government Securities Department, followed by 1½ years in Kenya as a Financial Consultant. Returning to Britain, Nicholas joined the Hargreaves Group PLC where his last appointment from 1983 - 1987 was as Chief Executive of the International Energy Division. It was during this time that he undertook the Business Economics Programme at the London Business School. In 1987 Nicholas joined Third Mile Investment PLC, a quoted investment company and as Chief Executive, he negotiated and completed the acquisition of two commercial radio companies, a major rights issue, and the subsequent "reverse" take over of Allied Radio PLC. In September 1997, Nicholas was appointed Private Secretary to HRH Prince Michael of Kent GCVO, based at Kensington Palace, London. 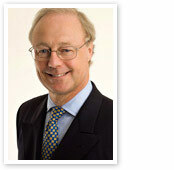 He was appointed LVO by HM The Queen in the 2005 New Years Honours. Nicholas Chance became a Justice of the Peace in 1985, and since 1988 has sat as a JP on the North Yorkshire, North Oxfordshire and now in the City of Westminster's Magistrates Court. Nicholas is married and has three children and three grandchildren.